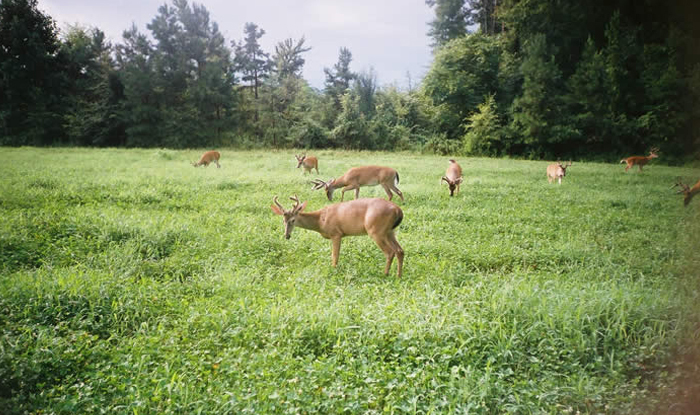 Wildlife habitat enhancement has become an important priority for many private landowners. Increasingly, landowners are enhancing their properties for personal recreation and to attract potential lessors. At Mitchell Forestry & Wildlife Services, we are experienced in all aspects of wildlife habitat enhancement. We have staff biologists who specialize in habitat enhancement for a number of game animals, including deer, turkey and quail. We know how to help you realize the full wildlife potential of your property. Forest and wildlife management are inseparable, however placing a priority on wildlife habitat enhancement does have some financial tradeoffs. We specialize in helping private landowners minimize these tradeoffs through forest management tools that are beneficial to the forest and wildlife alike. We can make your property attractive to the wildlife species you are targeting while managing your forest for optimal production and financial results. 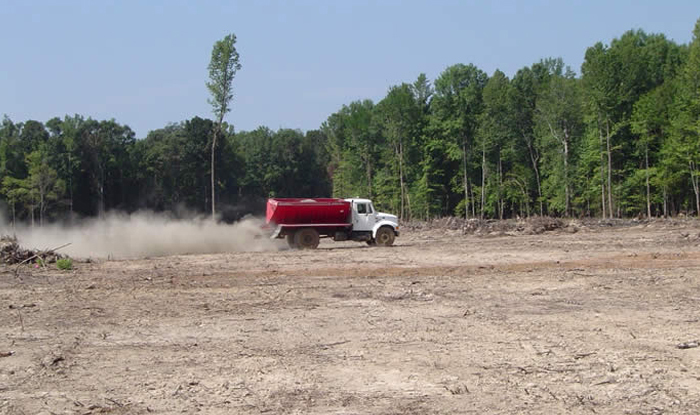 Spreading lime on newly installed food plot following timber harvest. 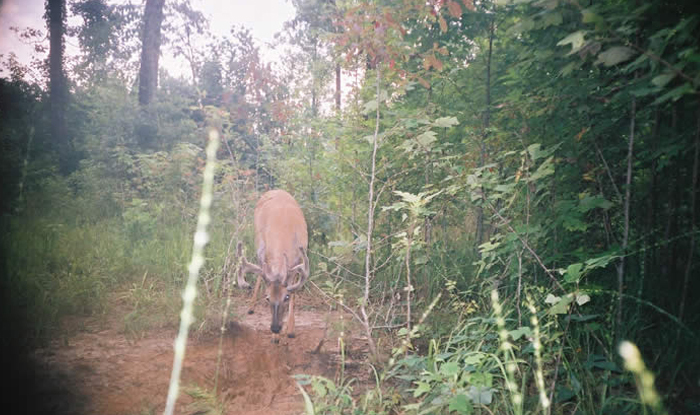 Trail camera photo on intensively managed property in west Tennessee.